Picture this: I am wandering down the perfume isle when I come across this masterpiece of a perfume bottle. I go to smell it and I am BLOWN AWAY! No that is not an over exaggeration at all… For so long I have wanted to love a Marc Jacobs scent, the bottles are so elaborate and beautiful that I just needed one on my dressing table. Alas, the scents have never quite been for me, too musky or strong. Until now. I was actually in Boots to treat myself with my well earned Advantage Card points to the Stella McCartney fragrance. I have, in rotation with a few others, worn that for over ten years. 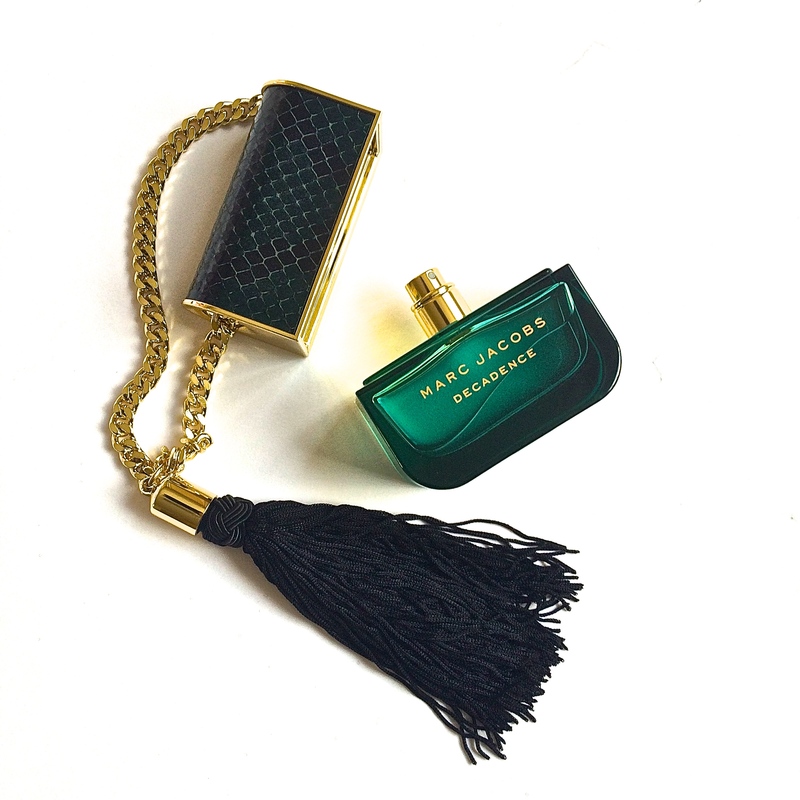 What can I say, I’m a creature of habit… And then I met Marc Jacobs Decadence and it was love at first smell. Now I am terrible at describing scents. All I can say is that it is unlike anything I have ever come across before. It is soft yet sweet and well just generally gorgeous. I doused myself in the tester (everyone does that right?) and couldn’t stop sniffing myself. Just for you guys I have looked up the actual notes of this perfume as I am incapable of putting that beautiful smell into words. It is a woody scent with notes of Italian Plum, rich Bulgarian Rose and sensual Liquid Amber. Definitely a more mature and sophisticated perfume. I feel ever so glamorous and womanly when spritzing this on myself. If you are near a perfume shop, go have a sniff! I take no responsibility for the bashing your credit card will take after that… Oops! What perfume has blown you away?